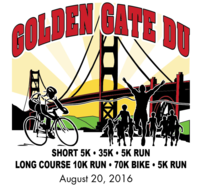 After much thought and deliberation, we here at WPE, have decided to cancel the Golden Gate Du event. The road will not be repaired in time for the Duathlon and the Running event response has not been aggressive enough to support the race expenses. We have requested a refund of your fees from active.com. It takes a few weeks for them to process the transaction. We hope you will check back with us once the Alhambra Valley road is repaired. We plan to fit the missed events into our schedule before the end of the year. In the meantime, please join us for our running events ! 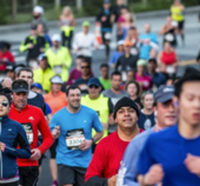 The Mother's Day 5K/10K/Half Marathon is always well attended and a really fun event. We'll be running this event on 5/13/2017. Be it the Long Duathlon, the Short Duathlon, the 5 Mile Run/Walk or a TEAM Duathlon, the Reservoir provides the greatest courses to challenge you, but not break you. The bike course circles the Reservoir and encompasses the 3 Bears... Mama, Papa, and Baby. But most important is the beauty of this venue. Whether it's Summer, Spring, Fall, or Winter the foliage changes, the sun peaks over the lake, or hides in misty fog. It's a photo moment every time ! We have a gem here in the East Bay. Only you get to cross the DAM. Great View! The run is half asphalt and half easy trail. This is a USAT Sanctioned Event. Awards are Custom Finisher Medals to everyone. The 5 Mile Run/Walk awards are plaques to overall Male and Female winners and Medals to 1st, 2nd, and 3rd place finishers in each 5 year age group... not 10 years. For Duathletes we award plaques, 5 deep, in each 5 year age group. Also, we take special pride in our older age groups... it's tougher to do as we age. So, we give plaques to the Male and Female winners in 10 year age groups, 40-49, 50-59, 60-69, and 70+. And we have competitors over 70 at each event! When you drive into the park you will make an immediate left hand turn to the upper parking lot which is also the location for Registration.. Park here because to park elsewhere may cost you $6.00 upon exit. The bike course is on your own, not timed, not sanctioned.